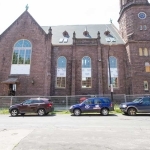 Designed by Smith + Associates Architects, the proposed structure offers a modern exterior with a range of materials selected to communicate an aesthetic connection to the adjacent historic church. 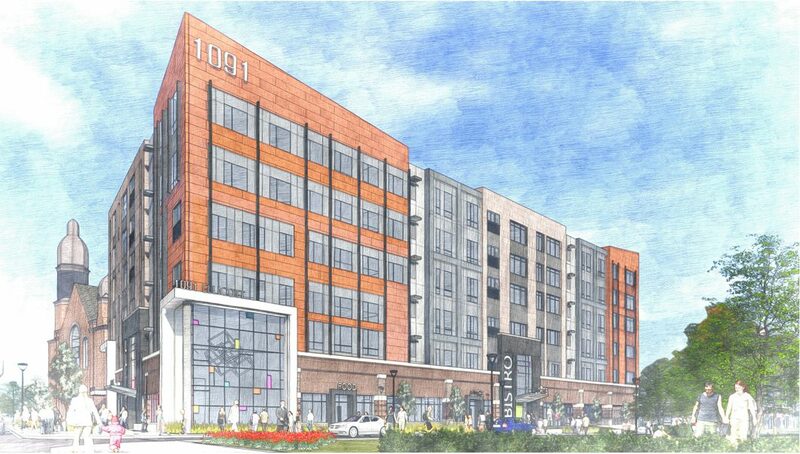 At 6 stories in height, 1091 Main will include approximately 167,000 square feet of retail and office space. 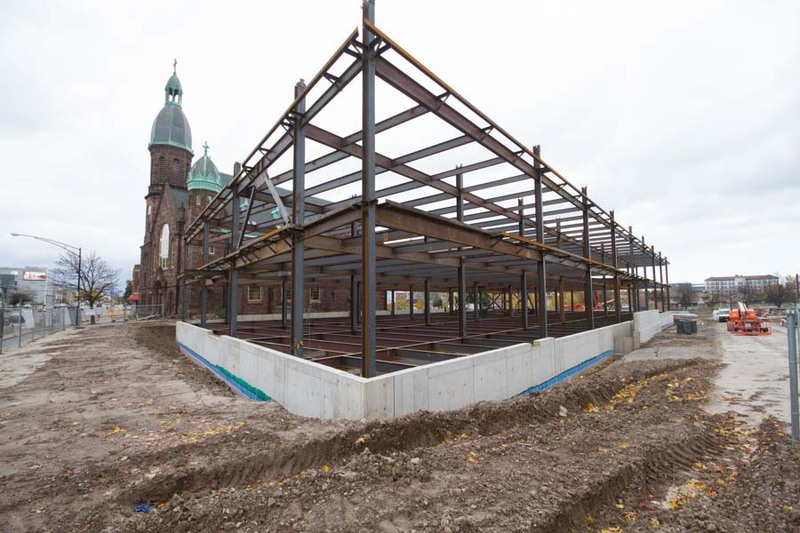 In addition, the building will include one level of underground parking for 50 vehicles, which will be accessed from the north. 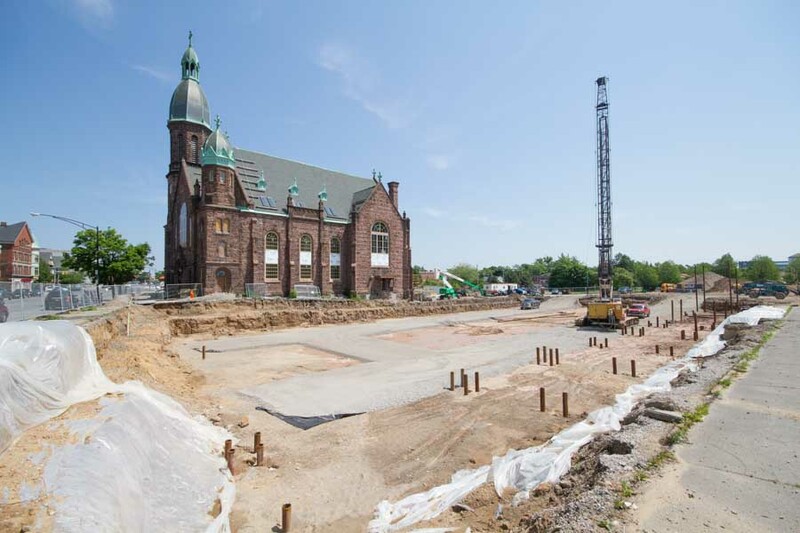 Ample additional parking will be available on adjacent surface parking lots at the rear of the property. 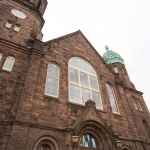 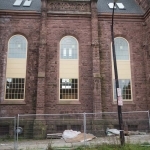 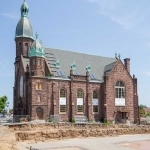 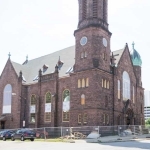 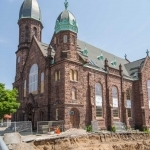 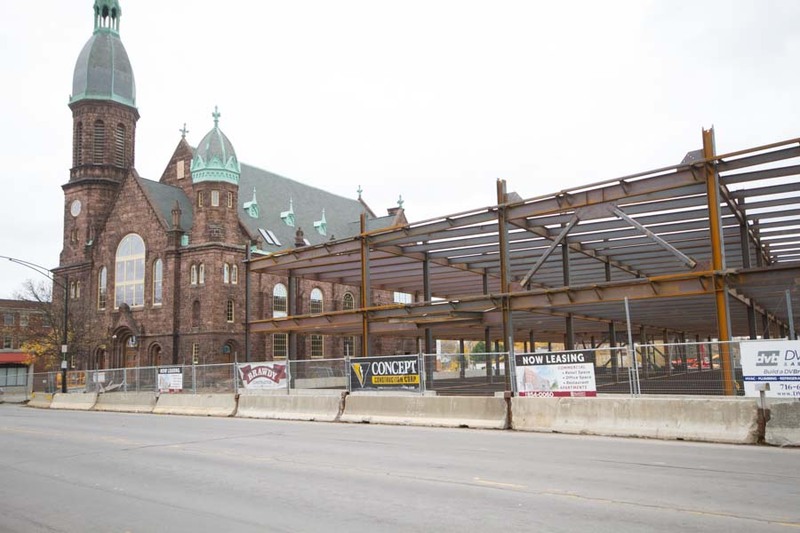 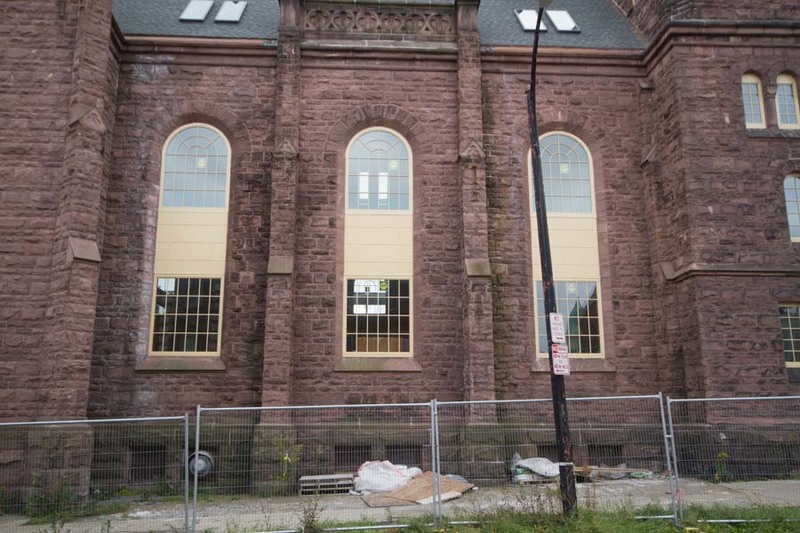 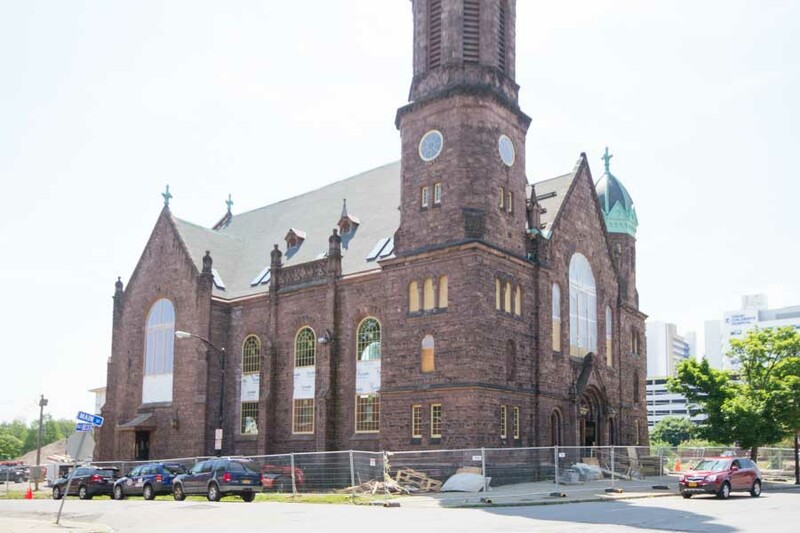 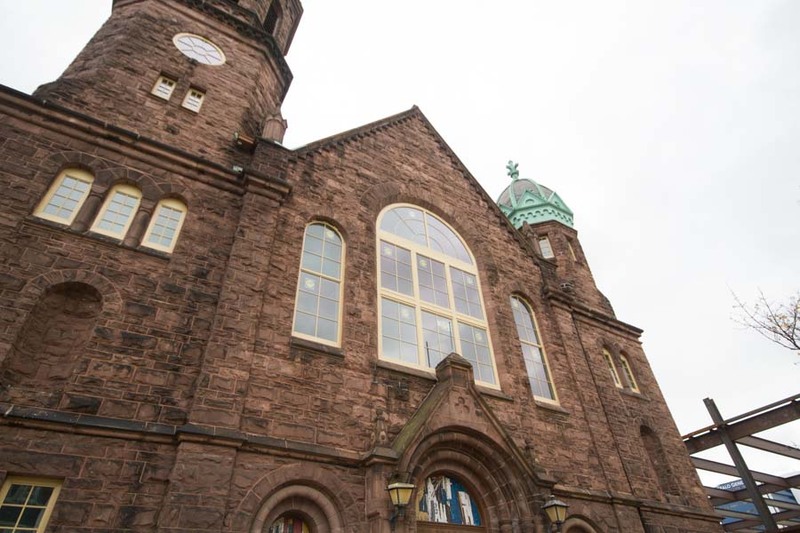 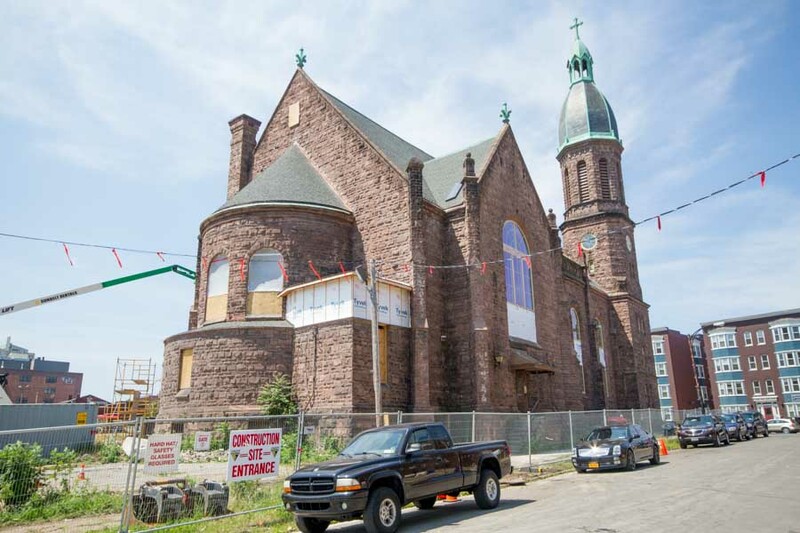 The new 6-story structure will internally connect with the former Our Lady Lourdes church by way of a 2-story winter garden that would be constructed between the buildings. 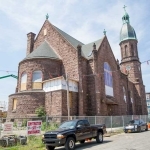 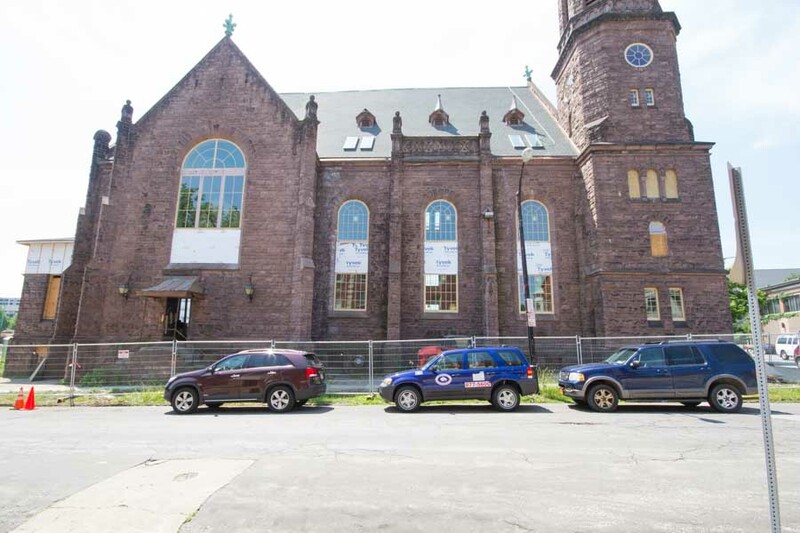 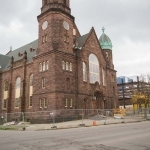 The historic Our Lady Lourdes church will undergo an adaptive restoration in conjunction with the development of 1091 Main. 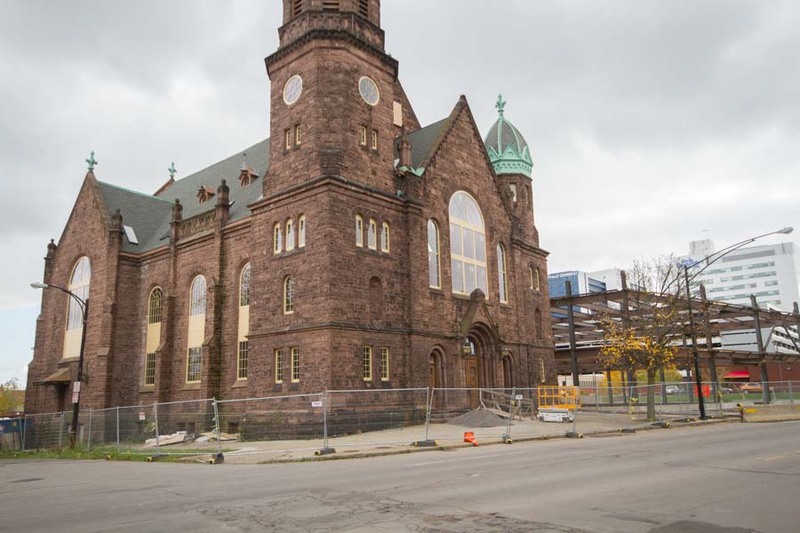 The former church will be transformed into a vibrant mix of retail, restaurant, commercial office and residential. 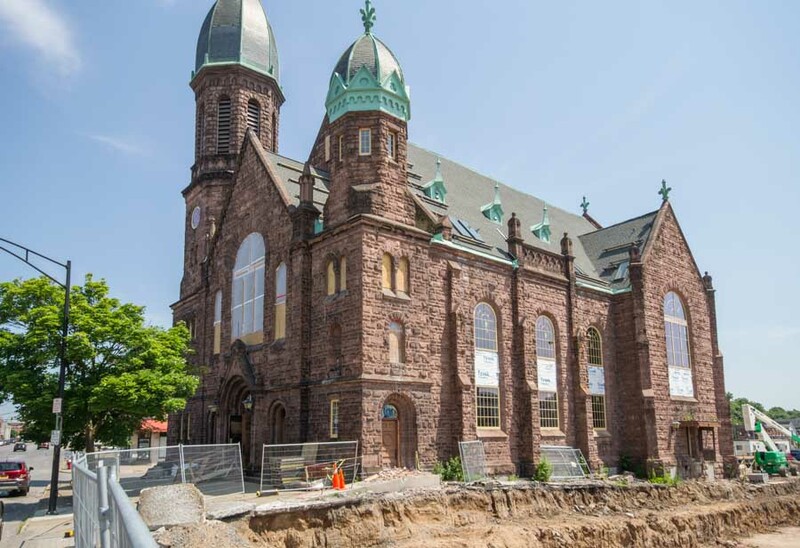 Two additional floors will be constructed within the open cathedral nave producing approximately 14,000 square feet over 3 floors. 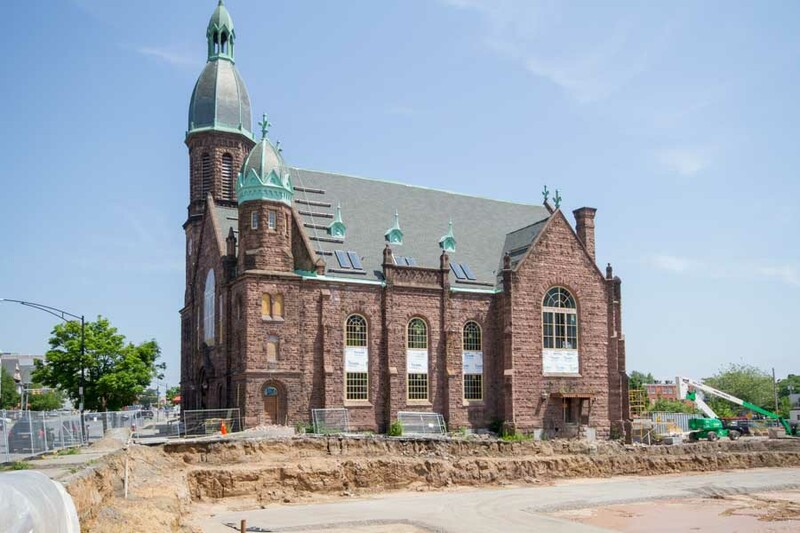 The prime location of this exciting development will provide convenient access to and from downtown Buffalo, Allentown, Elmwood Village and the Buffalo Niagara Medical Campus.